Debut LP from the Indiana ragers, featuring members of Liquids, CCTV, Big Zit, Ooze, Pentas, Scabs, Pukeoid. And let’s face it, with members of Liquids and CCTV on board, you know exactly what you’re getting – and that ‘glory’ is the right word here. 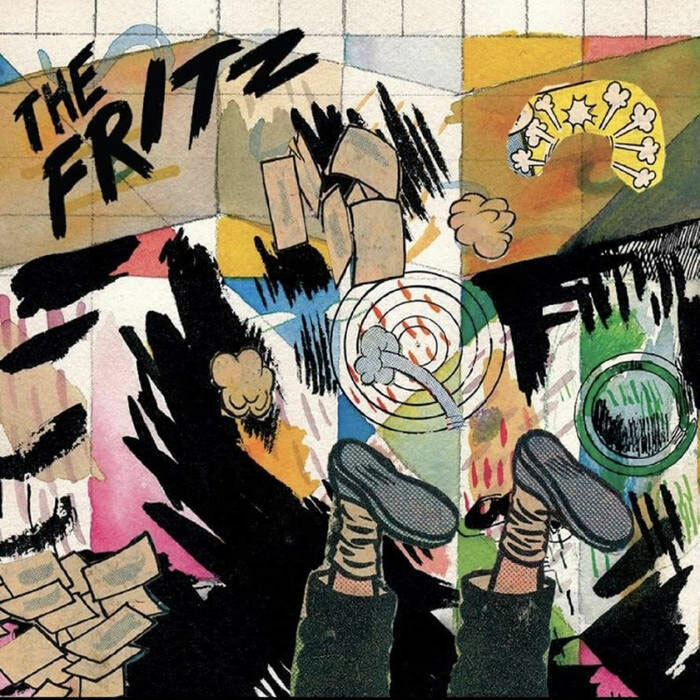 Less Devo-lved than some of their other projects, The Fritz nonetheless deliver the goods you’ll wanna hear: lo-fi ragers, garage schlock, hi-speed songs that barely break the minute mark before they collapse under the weight of the spittle that’s gathered in the corners of their frothing mouths. This is the manic energy of dudes that are too smart or too dumb or both, and it’ll make you wanna head to Indiana immediately so you can scream at ‘em to play and play and play until you or they can take no more. The Damned dancing on a circular saw? Booji Boys writing hoax hostage notes to their own parents? The contents of your own rotten soul, drunk and pissed-off and hilarious and brilliant at 45rpm? The Fritz may remind you of all these things. Mostly, they are likely to remind you of why you fell in love with railing against the world in the first place, and they’ll shred your speakers while they do so. Now let’s go spraypaint their name on the town hall before the cops come.